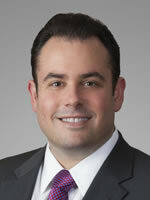 Jeffrey Kaplan is a corporate partner in the Chicago office of Kirkland & Ellis LLP. Jeffrey concentrates his practice on representing domestic and international fund sponsors in connection with the formation and operation of private investment funds, including buyout funds, growth equity funds, debt funds, venture capital funds, hedge funds, “hybrid” funds and other private investment vehicles, as well as the organization, structuring, and operation of their management companies. Jeffrey has extensive experience advising with respect to extraordinary fund events, such as fund level restructurings and investor defaults. Jeffrey has formed funds ranging in size from under $100 million to over $5 billion. Jeffrey’s practice also includes representing private fund sponsors in connection with mergers and acquisitions, leveraged acquisitions of public and private companies, debt financings, regulatory compliance, conflicts issues and general corporate counseling.